Question: How will my day go today? Quick answer: I’ll be presenting something new (child) to a group (garden) of something crafty (fox)… or new (child) public (garden) relations will require cleverness (fox). 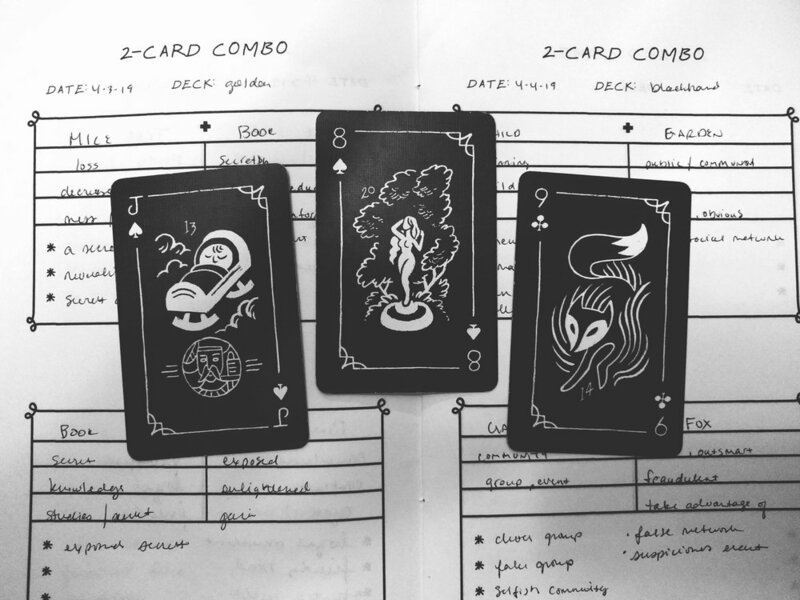 Q: How will I like the printing of my Monster Lenormand deck? Question: How will I like the printing of my Monster Lenormand deck? Quick answer: Right away, I read these as “the cards (letter) will have some minor flaws (mice) and will look familiar (house) to my originals”. Another literal interpretation, I love it! I also forgot how much I love this Blackhand Lenny deck!